For the first time since developing the second largest search engine in the world, billionaire Jamie Reed is taking the summer off. He plans to work from the Cape and spend time with his elderly grandmother - and falling in love is not in his plans. From the moment Jamie and Jessica meet, the attraction is white-hot. Once-overly-focused Jamie can think of little else than sensual, smart, and alluring Jessica, and Jessica discovers a side of herself she never knew existed. But when Jamie's business encounters trouble and his attorney and best friend intervenes, he proves that the blond beauty is too distracting for Jamie. To make matters worse, it appears that Jessica might not be who she says she is, turning Jamie's life - and his heart - upside down. Jamie + Jessica = Just right! Jamie is a programmer and the founder of OneClick, a search engine that is only second place to Google. He is focused on his work yet a good friend and amazing support to his Grandmother Vera and his friends at Seaside. He decides to attempt a vacation and plans to spend his summer at Seaside, rather than the occasional weekend he typically spends. Jessica is a cellist, on hiatus from the Boston Symphony Orchestra. She has devoted a majority of her life to being the best cellist possible, with little time for anything else. Even the chance to have a break in the first place was difficult for her to obtain. Jessica chooses to spend her vacation in Seaside, where she rents an apartment. Jessica and Jamie meet unexpectedly, when Jessica, who isn't a fan of technology, gets frustrated and throws her phone, which then strikes Jamie as he walks by. They meet and despite their differences, are drawn to each other. Jessica is reserved and inexperienced, but Jamie makes her feel at ease immediately. They have to balance their urges with getting to know each other better. The question is, will they know each other well enough to overcome obstacles when their relationship and Jessica's past comes into question? I loved listening to this book after reading it when it was originally released in print. I loved "watching" these two get to know each other and grow closer. I also loved how quickly Jessica was brought into the fold with the other Seaside girls! 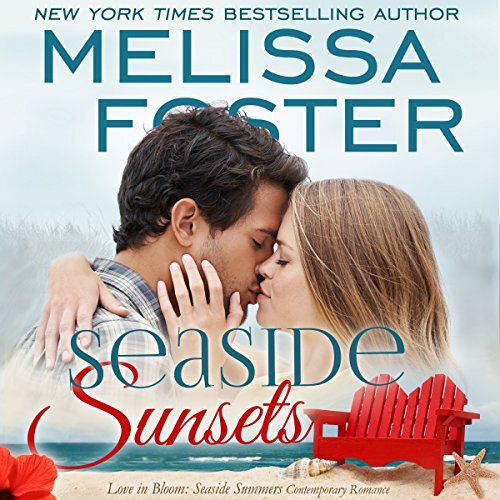 Seaside Sunset by Melissa Foster is such a delightful listen. I loved how a thrown phone sparks the attraction between Jessica and Jaime. Both are career driven and wanting to find balance in their lives. The author writes incredible imagery in this book. I loved how she also included the ethic of accountability in this story and how well meaning friends can be detrimental to relationships. The feelings I got listening to this story were very realistic. BJ Harrison does an amazing performance in this book. His voice is smooth and articulate, and adds the right emotions and inflection. This story is a standalone listen. I will most definitely listen to more books by this author and narrator. I loved it! Jessica Ayers is taking a break from the Boston Symphony Orchestra where she is an accomplished cellist. She rents an apartment in the Seaside community. One morning, disgusted with losing a bid for an autograph baseball she believes belonged to her father, she throws her phone over her deck and hits Jamie Reed as he jogs by. Jamie Reed is a computer geek who owns his own search engine company. He is spending the summer in Seaside with his grandmother, who raised him after his parent’s death when he was a child. When Jessica peeks over the railing to see who she hit with her phone, Jamie is instantly attracted to Jessica and she feels the same after only just meeting him. As they get to know one another, their chemistry only grows stronger. This is a wonderful story of two career-mind people trying to find a balance between their personal lives and their careers. The narrator, BJ Harrison does a great job narrating Jamie and Jessica’s story. I thoroughly enjoyed this book. 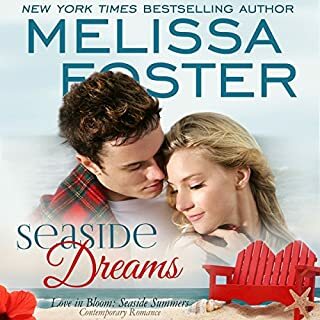 Seaside Sunsets is my most recent listen from the Seaside Summers collection by Melissa Foster and it was a great addition. Jamie and Jessica were such a sweet and enjoyable couple to hear about. From previous stories I got a good vibe from Jaimie but I loved really getting to know him in this one. I loved watching him open up and how kind he was to his grandmother and the way he handled difficult situations. He could own up to his mistakes and hold even people he loves and trusts accountable for their bad behavior when it counts. I found him to be a really admirable character. Jessica was trying to deal with a lot of things when she met Jamie. She had a difficult decision to make about her future and she was also trying to do something nice for someone she loved. I found her to be a really nice pairing with Jamie. They had their differences but also seemed to be well matched. Overall I just really find myself enjoying these stories every time I read and/or listen to one. Narrator BJ Harrison continues to give a great performance with his soothing voice that shows so much emotion and brings me so easily into the story. I look forward to reading more and different things by Melissa Foster in future. Seaside Sunsets!! Puts you back in Seaside with the gang! This is a great summer book! I love Seaside these books just make me want to spend every summer with the Seaside gang!! Jamie and Jessica's story is a great one. Love their story. Melissa Foster is such an amazing writer. BJ Harrison did an amazing job with the narration. This one has some very funny scenes and B. J. Harrison did a fantastic job narrating it! Jessica played the cello in the Boston Symphony orchestra. She had been playing the cello since she was six years old. She goes to Seaside for a vacation. Jamie Reed took the summer off from work to visit his grandmother Vera who played the violin. He had developed the second largest search engine in the world. Bella was the prankster of the group of girls that had cottages there each summer. She loved to play pranks on the cottage manager. They are laugh-out-loud pranks, but the manager took them in stride. When Jess and Jamie met, sparks began to fly. Would their different busy lives be in the way? Seaside Sunsets is a fun, flirty, romantic read. Jamie and Jessica have this relationship that draws you in from the very beginning. I absolutely loved this book and all of the characters from the "seaside gang". Don't hesitate to buy this book, it is part of a series but can easily be read as a stand alone. I absolutely loved the audiobook of this story. It was so enjoyable to listen to. B.J. Harrison has an excellent voice and is so easy to listen to. Jessica went to the Cape to escape her grueling work schedule as cellist with the Boston Symphony. Jamie Reed had been going to the Cape since he was a child. Jamie was the creator of the 2nd biggest search engine. Jessica met Jamie Reed by accidentially clocking him in the head with her cell phone after loosing a bid to Ebay. From their first meeting the attraction was unstoppable. Oh my goodness Jamie Reed was hot hot hot. I love listening to Audio Books. It passes the time traveling to and from to work. The narration of BJ Harrison is woeful. This was another great addition to the Seaside series that I enjoyed from the start. Jamie and Jessica were a well written couple that were relatable to the reader, hot together and overall and enjoyable pair of characters. I continued to enjoy reconnecting with the characters of the previous books as Jamie and Jessica's story unfolds. Their story moved along well and was enjoyable from start to finish. The narration from Mr. Harrison was well performed and made for a good listening experience. He was enthusiastic making the book progress well and keeping me interested as a listener. He also did well with differentiating between the different characters making the story easy to follow. I would recommend this book to others as it was a great book! Jessica is renting an apartment at Seaside for the summer. She’s taking a sabbatical from her career as a cellist for the Boston Symphony Orchestra. Also in the neighborhood for the summer is Jamie Reed, self-made billionaire and quite the catch. He’s there to spend time with his grandmother and some of his friends. When Jessica meets Jamie, sparks fly. Melissa Foster writes stories full of heat, and this story fits right in there. It will keep you entertained from the start. It’s great as a stand-alone, but as the 3rd book in the series, you can catch up with old friends while Jamie and Jessica fall in love. The writing is wonderful, the characters are like old friends, and the story - well, you should read it! I read this story a while back, and decided listening to it might be fun. B.J. Harrison does a wonderful job narrating. His voice is smooth and the characters jump off the page and come alive. I think you’ll enjoy it, too. Jamie is a great character, and B.J. Harrison captures him perfectly. 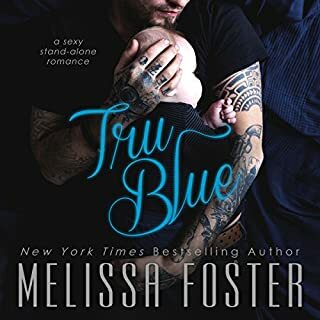 Another excellent story by Melissa Foster. I absolutely love the seaside summers books and this has to be my favourite. On along flight home from holiday this audible book was an excellent way to relax and pass the time on the flight. I just plugged my earphones in, closer my eyes and got swept away into this brilliant story. I love the Seaside Summers series, and Seaside Sunsets is my favourite book so far. Jamie is a very successful in business but because of his tragic past, he is quite closed off from the world. When he meets Jessica, a sweet young woman who has lived a sheltered life, this all changes. Jamie and Jessica are perfect for each other. They had some big obstacles to overcome but I loved reading how they developed and grew as a couple and individually. 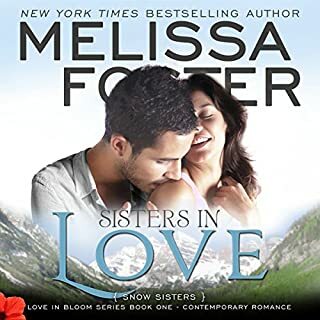 This is another great romance by Melissa Foster and a great addition to the series. I fell in love with Jamie and Jessica when I first read Seaside Sunsets, and having just listened to the audiobook, I fell in love with them all over again. There is just something about the way B.J Harrison brings the characters to life, and puts so much emotion into every word - you can tell it is exactly how Melissa Foster imagined it to be. As always, he has done Melissa Foster proud. Another good story by Melissa, listening to the soothing tones of BJ Harrison makes the story even better. It tells of Jamie and Jessica both successful in what they do. Jessica is taking a break at Seaside when she meets Jamie in unusual circumstances when she throws her phone over the balcony, this leads to a romance with its ups and downs. She gets introduced to the Seaside girls and gets caught up in their pranks. This is the 4th audio book I have listened to and makes me want to listen to more.